After a long, dark winter spring is finally here. Trees are budding, new growth is peeking out from last autumn’s unraked leaves, and the days are getting sunnier, warmer. It’s time for t-shirts and tank tops…or at least it will be soon. When you are out on the town, and want to keep a light layer to stave off the nighttime breeze, this Spring Fling Poncho is the perfect way to stay comfortable and stylish. 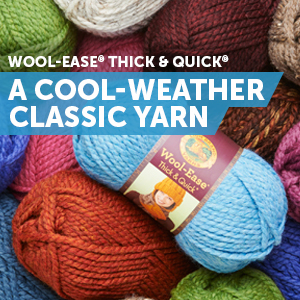 Weave it in a wool blend yarn for warmth, or a cotton yarn for a light covering layer. Either way, you’re sure to be complimented when wearing this fun poncho that YOU made! [Ch 2 (counts as dc), dc in next 4 st, * Ch 3, sk 3 st, dc in next 5 st * Rep from * to * until 3 st remain. Ch 3, sk 3 st, join to ch-2 w/ sl st. Round 14: Ch 4 (counts as tr, ch 1), sk 1 st, tr in next, ch 1, sk 1 st, tr in next *Ch 4, sk ch-4 sp, tr in dc, ch 1, sk 1 st, tr in next, ch 1, sk 1 st, tr in next * Rep from * to * until 4 st remain. Ch 4, sk ch-4 sp, join to ch-3 w/ sl st.
*2 dc in next st, dc in next st * Rep from * to * 1 time] Rep from [ to ] until 4 st remain. Ch 4, sk ch-4 sp, join to ch-2 w/ sl st. Round 16: Ch 4 (counts as tr, ch1), sk 1 st, tr in next *Ch 1, sk 1 st, tr in next * Repeat from * to * once *Ch 4, sk ch-4 sp, tr in next dc (Ch 1, sk 1 st, tr in next) 3 times * Rep from * to * around until 4 st remain. Ch 4, sk ch-4 sp, join to ch-3 w/ sl st. Round 17: Ch 2 (counts as dc), dc in same st as join *Dc in next st, 2 dc in next * Rep from * to * 2 times. *Ch 4, sk ch-4 sp, 2 dc in next tr, (dc in next st, 2 dc in next) 3 times. * Rep from * to * until 4 st remain. Ch 4, sk ch-4 sp, join to ch-2 w/ sl st. Round 18: Ch 4 (counts as tr, ch 1), sk 1 st, tr in next. *Ch 1, sk 1 st, tr in next * Rep from * to * 3 times. [Ch 4, sk ch-4 sp, tr in next dc, *ch 1, sk 1 st, tr in next * Rep from * to * 4 times] Rep from [ to ] around until 4 st remain. Ch 4, sk ch-4 sp, join to ch-3 w/ sl st. Round 19: Ch 2 (counts as dc), dc in next 10 st *Ch 4, sk ch-4 sp, dc in next 11 st * Rep from * to * around until 4 st remain. Ch 4, sk ch-4 sp, join to ch-2 w/ sl st. Round 20: Ch 4 (counts as tr, ch 1), sk 1 st, tr in next *Ch 1, sk 1 st, tr in next* Rep from * to * 3 times. [Ch 4, sk ch-4 sp, tr in next dc, *ch 1, sk 1 st, tr in next * Rep from * to * 4 times] Rep from [ to ] around until 4 st remain. Ch 4, sk ch-4 sp, join to ch-3 w/ sl st. Round 28: Ch 2 (counts as dc), dc in BL of next st and each st around. Join to ch-2 w/ sl st. Round 29: Ch 2 (does not count as st), FPdc around dc just below/same st, BPdc around next dc *FPdc around next dc, BPdc around next dc* Repeat from * to * around. Join to FPdc w/ sl st (sk ch-2) Fasten off. Weave in ends. Hi Lauranne! This was designed by one of my contributors a couple of years ago, not by me. From reading the pattern, it looks like the majority of the height of the neck is made up of Rounds 5-12. So, if you wanted to make it shorter, I would take out a few of those rounds.